First-Ever Libertas Americana Kilo Silver Proofs! The Libertas Americana is the most famous medal in U.S. History. Designed by Benjamin Franklin and struck by the Paris Mint in 1783, it celebrates our victory in the American Revolution. Now, for the first time in history and in conjunction with the Paris Mint, you can own this important piece of American history struck in one kilo of proof silver. Each shows magnificent detail, with the designs rising high off the shimmering proof backgrounds. 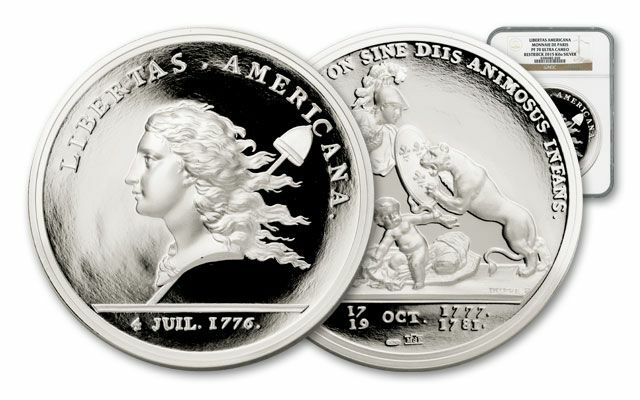 The Libertas Americana is one kilo of 99.9% silver. 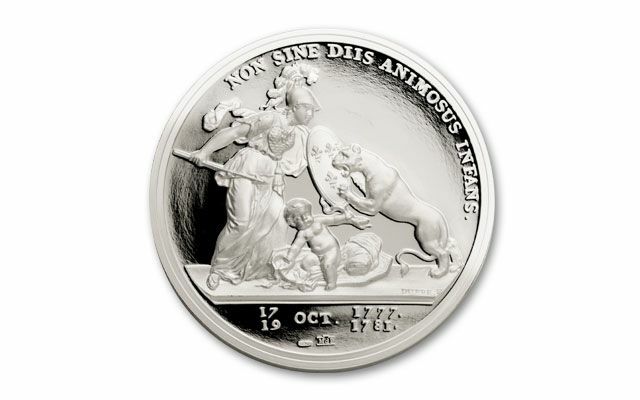 In order to create this remarkable striking, the artisans at the Paris Mint descended into the cavernous vaults below the mint and retrieved the original 1783 dies, from which these special proofs were exactly engraved. Double struck with highly polished dies, these proofs bring out every intricate detail, which not only rivals that of the 1783 Libertas, but also actually exceeds it! 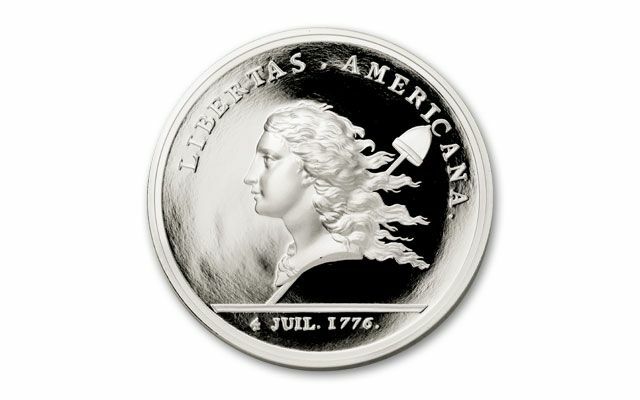 Each Libertas Americana Proof is 1,000 grams (1 Kilo) of 99.9% proof silver certified and graded Proof-70 (PF70) Ultra Cameo (UC) by Numismatic Guaranty Corporation (NGC) and sealed in a protective acrylic holder to secure its provenance forever.